Description 项目描述 : Competition entry for the New Vienna Museum. 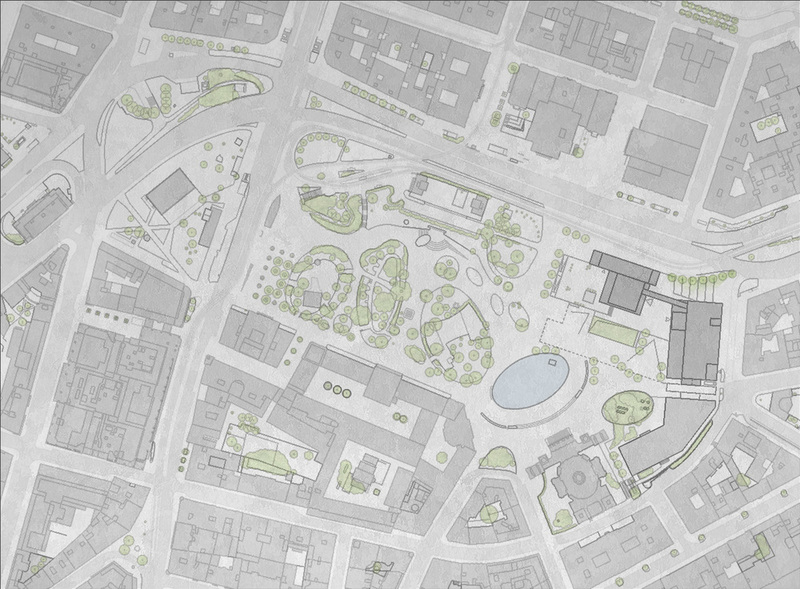 The main design principle of the proposal in the urban scale is to enclose and surround the existing museum building towards the main street giving an actual urban square atmosphere to Karlsplatz, but still in respectful distance from the historic Karlskirche. The old Vienna museum building is connected underground and above ground to the the new building volume but also features a transparent addition on the top.